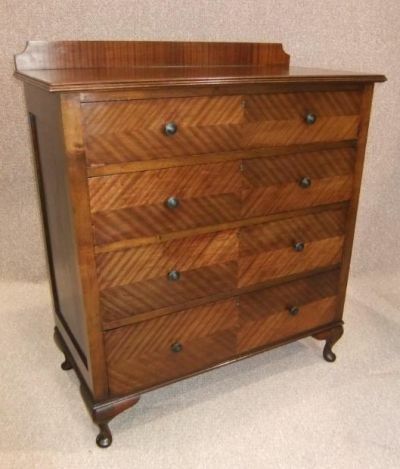 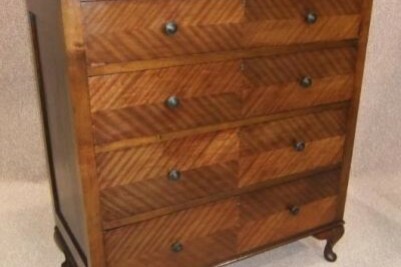 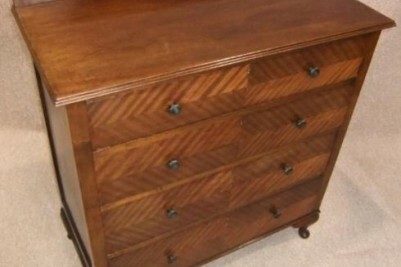 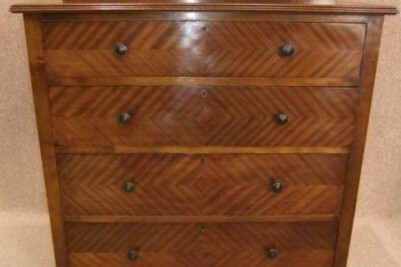 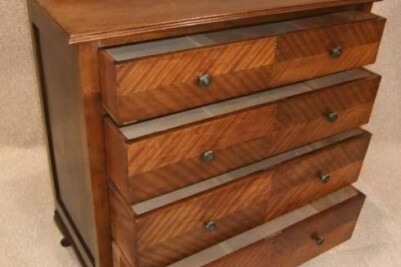 Art Deco Chest of Drawers. 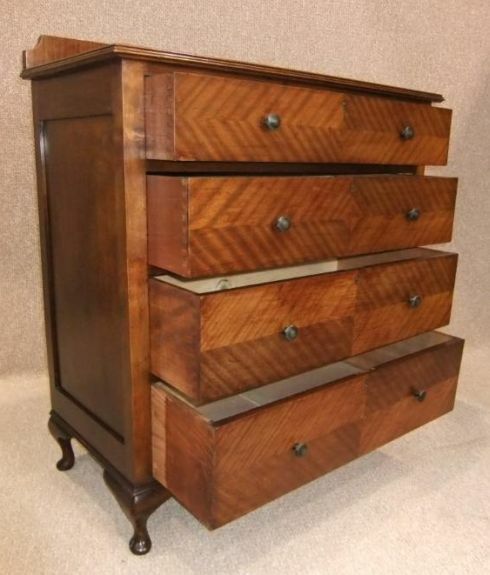 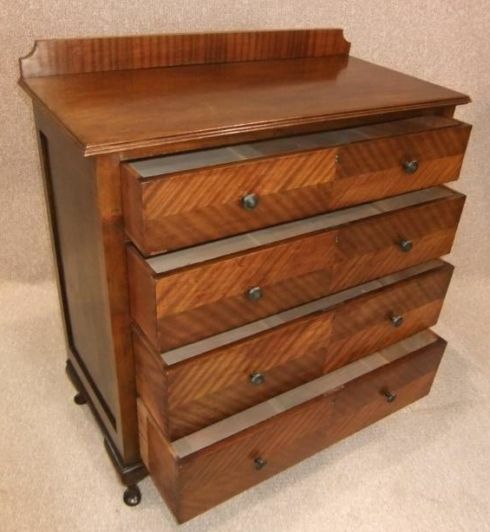 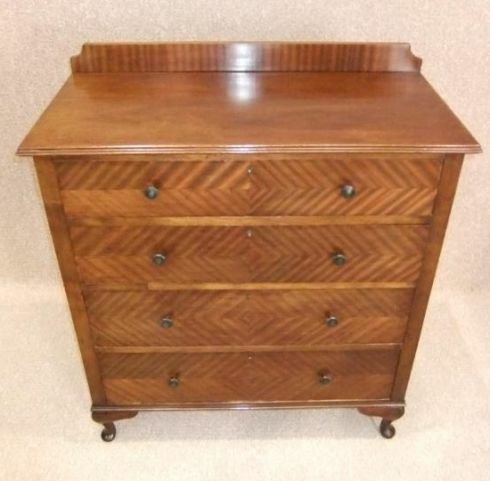 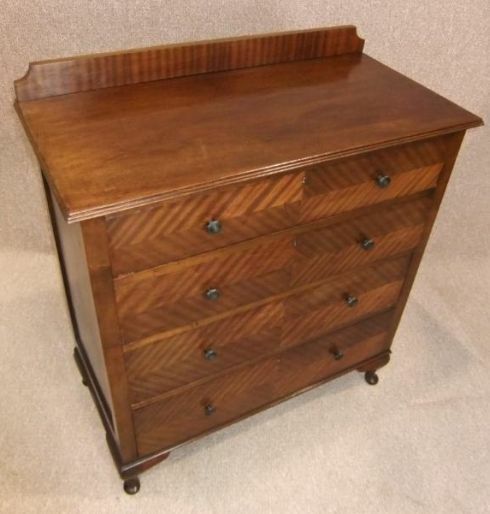 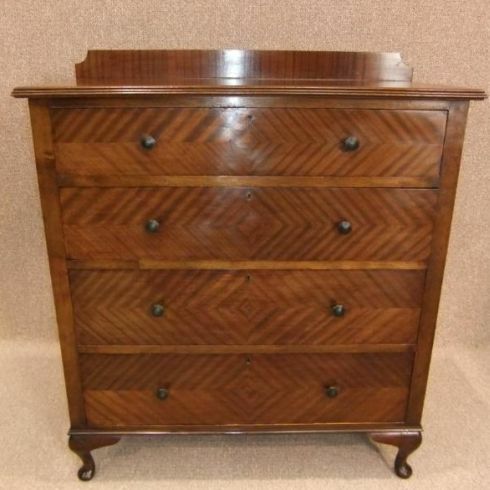 A large Art Deco walnut and mahogany 4 drawer chest of drawers, with small up-stand to rear. 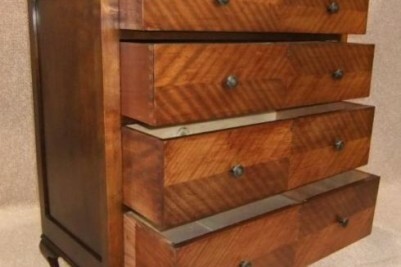 The four graduated drawers feature the original Bakelite handles and it stands on Queen Anne style legs. 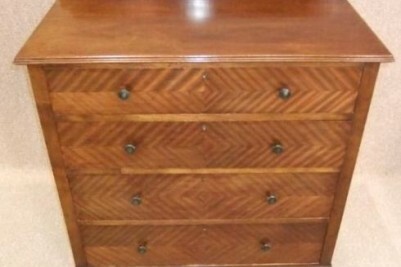 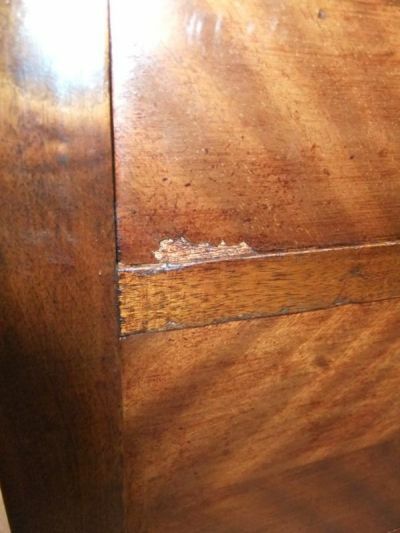 The art deco chest of drawers is in good condition for its age with a small amount of wear and tear. 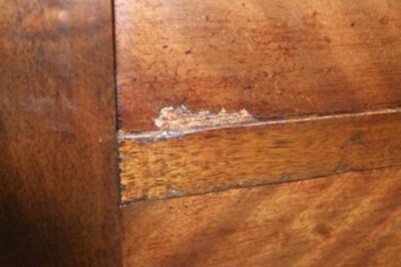 Sadly there is a small piece of veneer missing as the photos show, but this does not detract from the overall beauty of the item.